to support and facilitate the development and quality of research in relation to these issues. Professor Erica Joslyn is Head of Department for Children, Young People and Education at University of Suffolk. Erica holds undergraduate and masters degrees in Social Policy and a PhD in Public Policy and Management from the University of Birmingham in the UK. She has worked in higher education since 1990. Erica is a Principal Fellow of the Higher Education Academy and has extensive experience in curriculum leadership and academic management. Her academic and research interests are in the areas of resilience, social emotional competence and education for children and young people and has recently written ‘Resilience in Childhood: Perspectives, Promise and Practice’ – published by Palgrave Macmillan. She is a member of the European Network for Social and Emotional Competence (ENSEC), and has presented numerous papers at conferences including ENSEC International conferences. Erica has a keen interest in the provision of education to primary and secondary sectors and works to support the provision of PGCE School Centred Initial Teacher Training (SCITT), offered at UCS in conjunction with primary and secondary schools and Local Authorities. She works closely with Suffolk County Workforce Development Team across Suffolk and to facilitate teacher training, CPD for experienced teachers and professional development in school leadership and management. Erica is currently the project lead for the STEM Accelerator Pilot Programme – leading a partnership team from UCS, Connect EB Ltd and Suffolk County Council designed to stimulate and engage 14-19 year old students in STEM-related project activities. This two year programme provides opportunities for the STEM business community to engage directly with students to promote STEM skills and careers across Suffolk. Erica has worked with the voluntary sector on a range of projects including homelessness and housing provision, service evaluation for funded projects and workforce development for the CYP sector. She continues to closely with the voluntary sector in Suffolk to evaluate the impact of policy and develop practice and service provision. Elaine Ulett is a Training and Development Specialist at Oxford Brookes University where she teaches Information Technology and a range of technology systems to staff and students. In addition, Elaine manages the European Computer Driving Licence (ECDL) Centre, based at the university. The centre offers an internationally recognised qualification for computer users and is open to staff, students as well as the general public. Elaine has a background in adult education. She has worked in further education and in charities where she taught people with mental health problems, socially excluded young people and prisoners. 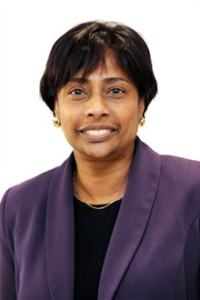 Elaine is currently studying for a Professional Doctorate in Education at Oxford Brookes School of Education. 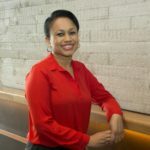 Her research focuses on Black Minority Ethnic academics who have aspirations for career progression to become senior leaders in British Higher Education Institutions. The research will take a social identity perspective to determine whether an individual’s relationship with others, within the institution, can impact their decision to seek career progression to a senior position. Elaine has a keen interest in social wellbeing. She previously supported people in her community by helping to run the local foodbank which is run from the church she attends regularly. She served six years as a committee member, first as a treasurer and then fundraiser helping to feed those in need within her community. Elaine is also a qualified yoga and meditation teacher with the British Wheel of Yoga, and is working with the university to promote wellbeing for students and staff. Does bias in secondary school track recommendations change over time? A response to Komatsu and Rappleye: What if east Asia’s high achievement is not the result of long hours of study, cram schools, and exam pressure? On not speaking ‘good’ Chinese: (Dis)engagement in learning Chinese among British Chinese teenagers in England.